With the collapse of peace talks, Syrian civil war escalating into regional - and possibly global - conflict. Tensions in Syria are once again on the rise after Turkish President Recep Tayyip Erdogan repeated his demand that the United States ends its support for the Kurdish militia group YPG, which is the dominant force in the Syrian Democratic Forces (SDF), and since the so-called Astana peace talks between Iran, Syria, Turkey and Russia collapsed. A series of recent events in the war-torn country, furthermore, indicate that the civil war in Syria is turning into a regional conflict with the potential to become a world war. After claiming that the Islamic State terror organization has no presence left in Syria, Erdogan told members of his ruling AKP party that the U.S. has an opportunity to strengthen ties with his regime by dropping American support for the Syrian Kurds. “This is an opportunity for those who say that they are allies, that they are strategic partners, and who want to carry our relations to the future by strengthening our ties politically, economically and militarily," Erdogan said. “There is no Daesh (Arab acronym for ISIS) in Syria, there are only a small number of gangs who are kept in reserve, trained and equipped, allowed to mix in this country and the region under the guise of Daesh," said the Turkish leader several days after Islamic State killed scores of Kurdish SDF fighters in the Syrian city of Hajin on the east bank of the Euphrates River. The U.S. this week set up several new observation posts along the Turkish border in northern Syria to prevent the Turkish army from carrying out new attacks on the SDF and to hunt down remaining ISIS terrorists and prevent them from crossing into Turkey. "We are going to track any threat we can spot going up into Turkey," US Defense Secretary James Mattis told reporters in the Pentagon on Wednesday. Mattis said that the new observation posts would be manned by Special Forces which are already in Syria and that he disagreed with Erdogan that the YPG is a branch of the outlawed Kurdish Workers Party (PKK) in Turkey. The SDF is currently undergoing a transformation after defeating Islamic State forces in Syria and will now be used by the US to stop Iran’s entrenchment in the devastated country. The London-based Arabic paper Asharq Al-Awsat reported on Sunday that the US military had started to train and equip 30,000 SDF fighters to contain Iran while they would continue to battle ISIS as well. Iranian media later reported a “new American plot” to reinforce the beleaguered Al-Tanf base on the Syrian Iraqi border which is home to a contingent of US Special Forces who are preventing the Iranians from completing their land corridor from Tehran all the way up to the Israeli border on the Golan Heights. The Americans are also using local militias in southeast Syria and western Iraq to achieve this goal according to the Arab media outlet Sham Times. The Turks, meanwhile, are entrenching themselves in northern Syria as well. The Turkish government is providing training to its local proxy Free Syrian Army which is in fact a Sunni Islamist militia and is carrying out all sorts of civilian projects such the drilling of water wells, the supply of Erdogan approved Islamic textbooks for schools while it allows a large number of Turkish companies to operate in territories under its control. The Turks also threatened to carry out a new military operation on the east bank of the Euphrates River against the Kurdish-dominated SDF. The Turkish National Security Council (MGK) announced this week it would exercise its “right” to carry out the new operation and to eliminate “terrorists” in eastern Syria and northern Iraq, a reference to the YPG and the PKK in Iraqi Kurdistan. Shortly after the announcement reports came in that the Turkish military was amassing troops with heavy weaponry along the Syrian border in Aleppo and Raqqa provinces. To complicate matters the Iraqi army started shelling and bombing ISIS positions in eastern Syria killing scores of terrorists. The Iraqis bombed a weapons- and ammunition depot of ISIS affiliate Fayalq al-Farouq in al-Souseh region in Southeastern Deir Ezzur and a base in the same area. At the same time, the Russians threatened to resume their airstrikes on Islamist rebels in the Idlib province in northern Syria after some 15,000 fighters of the Hayat Tahrir al-Sham militia refused to withdraw form an area which was designated to become a demilitarized zone under a ceasefire agreement between Turkey and Russia. Russia and Turkey closed the ceasefire deal in September in order to prevent a new humanitarian disaster and to protect Sunni rebels who had been transferred to Idlib under so-called ‘reconciliation agreements’. The Turks succeeded to convince Hayat Tahrir al-Sham to remove its heavy weapons from the designated demilitarized zone but the Jihadist umbrella organization of Islamist rebels, among them Jabhat al-Nusra the former Al Qaeda branch in Syria, refuses to withdraw completely. Syria now demands that all foreign troops, except for Russia and Iran, leave Syria soil and has requested the Security Council of the United Nations intervenes to achieve this goal. Chances are slim, however, that the Turks and the Americans will comply, since much is at stake in the changing Syrian war which is slowly turning into a global conflict between Iran, Russia, Turkey and the United States and its allies Israel and the Sunni Arab Gulf States. In this respect, it is important to mention that the Arab Gulf countries have decided to send troops and heavy weapons to the area now under American and SDF control, while the Saudis are funding the training and equipment of the new 30,000 men-strong SDF force which will confront Iran in northern and eastern Syria. Israel, meanwhile has reportedly resumed its attacks on Iran-related targets in Syria. 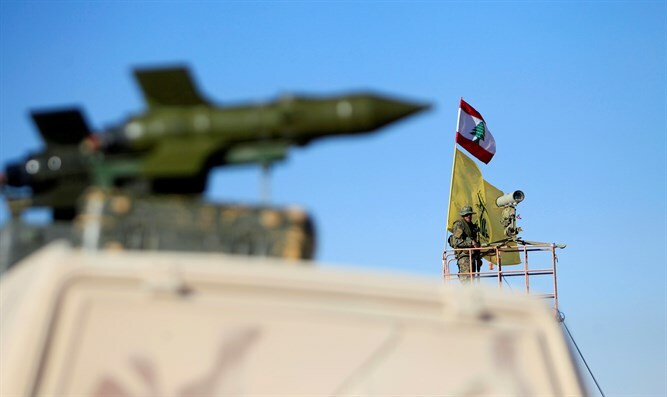 Shortly before midnight on Thursday evening the Israeli air force (IAF) reportedly carried out aerial strikes on Iran-supported militias in Al-Kiswah in the vicinity of Damascus, Qanaqar in southwest Syria and Quneitra near the Israeli border. Al-Kiswah had been targeted earlier by the IAF and is home to the central command of the Quds Force of the Iranian Revolutionary Guards Corps in south Syria. The Syrian regime falsely claimed it had downed an Israeli warplane, while the IDF reported a Syrian missile had been launched in the direction of the Golan Heights in Israel.